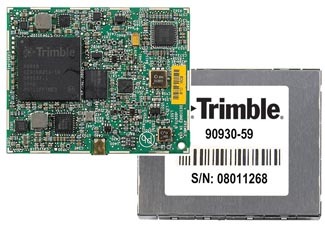 Trimble has introduced a new, real-time kinematic (RTK) compact GNSS card — the Trimble BD960 — for high-precision guidance and control applications, such as unmanned vehicles and port and terminal equipment automation. According to the company, the BD960 is capable of receiving a range of commercially available GNSS signals, the modernized GPS L2C and L5 signals as well as GLONASS L1/L2 signals. The embedded solution is designed to allow OEMs and system integrators to easily add centimeter-level positioning, fast initialization, and improved field performance to specialized or custom hardware solutions. 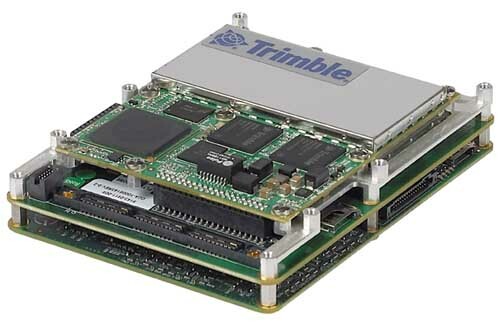 Designed in a compact Eurocard form factor the Trimble BD960 enables OEMs and integrators to exploit such on-board features as multipath mitigation, low-elevation satellite signal tracking, and support for OmniSTAR worldwide DGPS service. In addition to the standard RS-232 communications, Ethernet connectivity on the board allows high-speed data transfer and configuration. 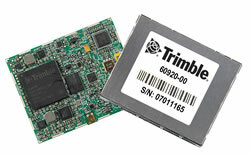 The Trimble BD960 GNSS receiver module is expected to be available worldwide in first quarter of 2008. Pacific Crest, a Trimble Company, will manage the sales and distribution of the product.